The Life of Brad: September 2009, Work? NOOOOO! In September I started updating some of my skills again and some new ones too. I went back to work at D'Angelo Photo Studio and I picked up some training sessions at Professional Skate. Plus I bought yet another bike, see below. Two years ago I worked for Donna at D'Angelo Photo Studio doing restoration work and assisting the head photographer in order to learn lighting, composition, etc. And in September 2009 I have gone back to it hoping to gain more experience, especially in restoration which hopefully I can do a bit of in NZ when I'm back. I have enjoyed my time back at D'Angelo. It has been good to get back in to the photography world even though I think it will be more of a hobby in the future now that I have tasted all that is required to excel at this craft. There is a lot. Front of the studio with Photographer Trevor and Restoration Expert Donna. Thanks guys. Also in September I started training at a top notch Hockey shop called, "Professional Skate", which does just about everything hockey including work for some of the pros. How did I get this opportunity, and why am I doing this? Firstly, why? While living in NZ the last couple of summers I really missed hockey and began investigating why Wellington has no Ice considering all the other bigger cities do. I'm still not really sure as there seems to be good interest in it, but the need is somehow filled by inline hockey for now. This does not work for me so I tracked down a few people involved in bringing Ice to Wellington and heard good things towards the end of 2009. Probably won't happen in 2009 due to the recession, but I thought while I was back home I could learn how to do things properly in order to get a good foot in the door when the rink does pop up. Hopefully we will be able to bring some of the Pro Skate guys down for NZ training sessions when that Ice is put in. Fingers crossed. How did I get this oppurtunity? Beer! I went to Pro Skate to get my skate fixed and while I was there I asked if they could show me some services they provide to the hockey community. Apparently they liked my interest and agreed to a case of beer in order to use the facilities and get taught by the best. Miller Guinune Draft was not my idea of a case of beer, but that's for them to decide. Next case will be Big Rock (local Calgary beer). Some of the things I have learned in my Thursday morning sessions are sharpening, blade replacement and riveting, truing blades, machine maintanence, boot extrusion and stick tricks. Special thanks to Murph, Voldy, Boots, Mark, Josh and Peter for helping me along the way and letting me practice on junk stuff before I beat up on my own skates. Also, thanks for the job offer Murph, but you know I am just not cut out for full time work, yikes! Voldy and Murph out front of Professional Skate. Sparking it up and sharpening that cool steel. The most important service! No look! Thank god for the practice skate. This is my previously owned 2008 Kawasaki KLR 650 which is to get me from Calgary to the tip of South America next Sept 2010. What do you think? It makes me smile. And finally a couple of pieces of info for you. A friend of mine has started a Movie critic blog which makes me chuckle. Check it out http://thefantasticmrfilm.wordpress.com/ (note that some of the language is a bit heavy). 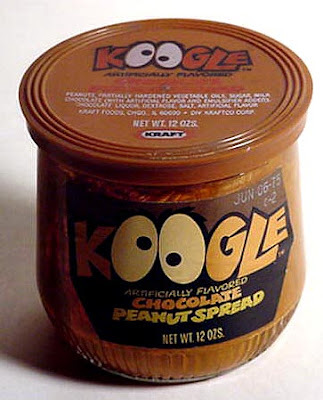 On a final point of interest from Kraft in 1971.